We are at the Halfway Point of my 10-Week Workout series for BodyRock.tv. Everyone seems to really like the recommended workout schedules I have been posting, so here is the schedule for Week 5. I will also be posting new workouts this week, so you can choose to incorporate the BodyRock workout(s) with my newest workouts, add them to your regular workouts, or follow this schedule. Remember, it’s all about finding what works best for your schedule. If you figure out what works best for your lifestyle and routine you are more likely to stick to your program. Results come from consistent training. Don’t underestimate the importance of the time you are putting in to your workouts. Your health is worth the effort! The videos for this week’s workout schedule are posted below. You can click on the titles for the full workout breakdown or follow along with the videos. Remember, you can add rest days. Be sure to listen to your body. At the bottom of this post I added my Post-Run Recovery Stretch video. You can incorporate that routine at any time during the week. You want to maintain flexibility as you gain strength. I am going to be posting an Instagram workout challenge for the month of May. You can find me on Instagram: @BenderFitness. Yay!! Another great workout schedule! Thank you so much for doing this. Greatly appreciated and excited to tackle week 5. Great workout videos, keep it up. I’m really loving the workouts this week Melissa, I especially like the 20 minute routines. You are amazing!!! love the workout thank you!!! 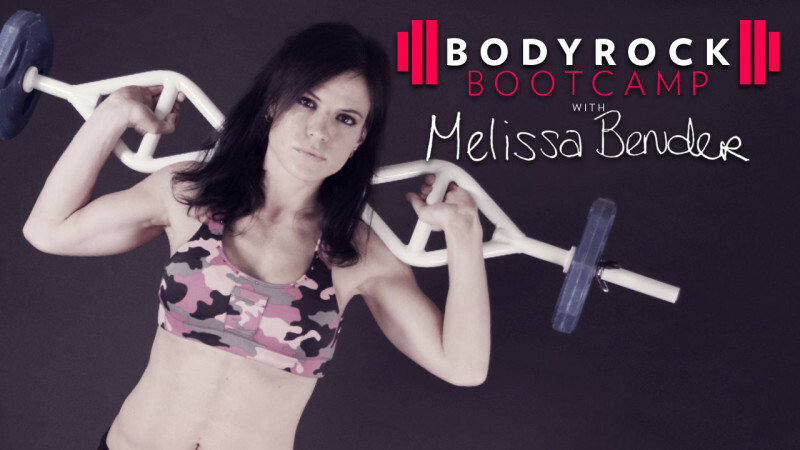 Awesome Melissa, i really like your new website, the other one was hard to read, you have such a great selection of routines, I just want to do them all one after another. The web and the workouts are amazing!!! Since I follow her my body has changed so much!!! Thank you Melissa! HI Melissa, I love your workouts! I’ve been doing your 10 week bootcamp and am already seeing results! My problem area are my love handles. Any exercises that target that area to help me loose that extra weight? Unfortunately there is no way to isolate fat burn in just one area. As long as you keep up the workouts, and keep working your core & back (which these workouts will do) you will start to see the love handle area decrease. I am a huge fan of oblique exercises like side plank, elbow tap side plank, side v-up & hip drop plank to help strengthen this area. Reverse plank, and other exercises to strengthen the entire core will also help. Keep up the good work, and incorporate cardio exercises (like Burpees, mountain climbers, high knees, or other plyometric moves) to help keep the fat burn going. Good luck! That 20min HIIT in week 5 boot camp is a killer. No doubt it really pushes your limit. Thanks Melissa! !